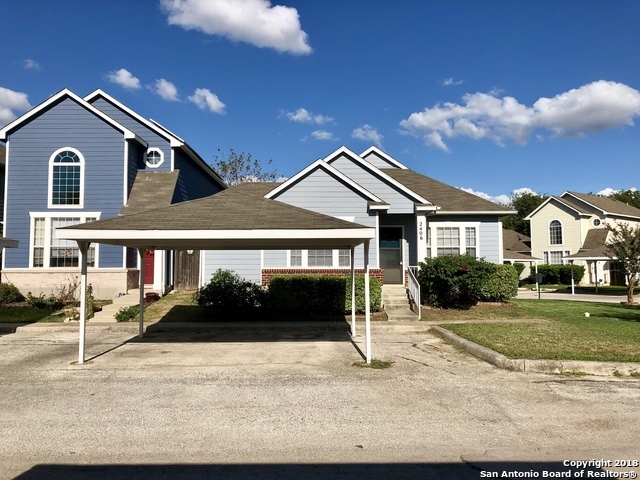 All CROWN MEADOWS homes currently listed for sale in San Antonio as of 04/20/2019 are shown below. You can change the search criteria at any time by pressing the 'Change Search' button below. "SHOWING AFTER AN AGREED OFFER IS IN PLACE. DO NOT DISTURB TENANT. LEASED UNTIL NOV 2019. GOOD INVESTMENT PURCHASE. 2 BEDROOM W/2 FULL BATH GARDEN HOME LOCATED ON A CORNER LOT. HOME HAS NEW INTERIOR AND EXTERIOR PAINT. HOME FEATURES WOOD FLOORS WITH VIVLY PLANK FLOORING IN THE WET AREAS AND HAS A FLORIDA ROOM. HIGH CEILINGS. TRANSFERABLE HOME WARRANTY."